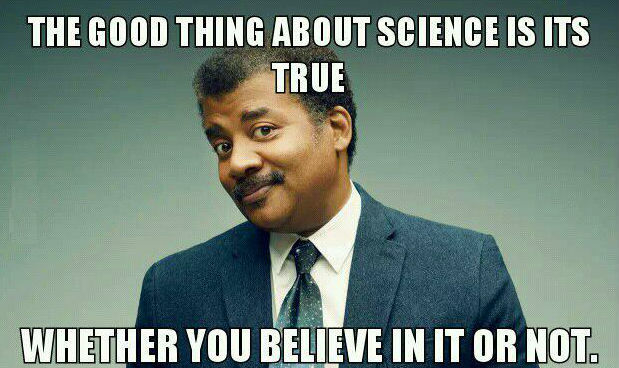 SCIENCE- BECAUSE IT IS TRUE! Science is great but sometimes I feel the easy access to studies is holding people back in the pursuit of their dream body. Most people do not know how to read studies properly nor do they understand how to interpret the data. Most studies do not prove anything in an absolute manner but establish a trend that is slightly to the right or the left. A lot of trainees also start out with pre conceived notion and only look for studies that will fit their world view which is pretty much the opposite of that a scientist does. He starts with the data and draws conclusion from there. 1. Low protein diets do not work since it will cannibalize your muscles. 2. Low carb and low fat both work for weight loss but low fat seems to work a bit better. In the end it comes down to personal preference. 3. Training a muscle once a week is not enough, twice is better. I tell my NYC personal training clients that you must cover the body twice a week for best results. 4. Tension is a must. Without tension, you are will not make progress! On the contrary, if you implement cheat reps you are risking an injury. 5. You need to find exercises that allow you to create the most amount of tension! So do not copy a workout of someone else but learn anatomy and create on for you! 5. Frequency and volume is key for muscle growth, each body part should be trained twice a week with about 10-15 sets each time. Cheat reps and half reps are to be avoided since they will impair the recovery. 6. A dirty bulk will leave you big and fat! Muscle does not grow overnight, fat o note other hand…In my NYC personal training business, we strive for 2 lbs a month, anything else is simply not muscle. 7. Most supplements are useless, creatine, caffeine, protein powders, green powders and zinc have value. The rest is marketing. 8. Sleep is critical , think 7 hours of quality sleep. That means no electronics, no TV, no food one hour before sleeping. 10. Endless Facebook fights of whether you need BCAAs or whey are definitely catabolic and will harm your gains. Previous post: You have been Scammed! Next post: Be like Croatia!